Water is the basis of your indoor growing system. All living things need water to survive and as simple as water seems, it can be overwhelming at times to effectively manage your water quality and quantity. Water is the basis of your indoor growing system. All living things need water to survive and as simple as water seems, it can be overwhelming at times to effectively manage your water quality and quantity. All of the hydroponic systems we carry at Hydrobuilder are designed to grow your plants properly. You won’t need to worry about over or under watering, as long as your timers and pumps work properly. To be sure, however, consider a nutrient and pH doser. These will provide you with the perfect ratio of nutrients, and autodose your pH for you every time. 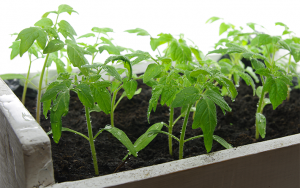 When growing in soil, however, it can be easy for a beginner to over water their seedlings. When plants are small, they need less water than when they are large. Too much water drowns the roots which robs their supply of oxygen potentially killing them. Under-watering is less common but still likely if large plants are in small containers. Smaller containers will dry out more quickly than large containers. As your plants progress throughout their life cycle, they will require more and more water up until harvest. Temperature and humidity will also have an impact on how much water your plants will use. Grow rooms with poor ventilation typically lead to over-watered plants. When plants transpire, they release excess water. Without proper ventilation, the excess water in the air has no place to go. This can cause your plants to remain soggy and are more susceptible to mold. Equally as important as how much water you give your plants, is the quality of the water. How Do I Find Out What's In My Water? If you get your water from a public or community water system, yearly reports are published on water quality. These are freely available to the public and can usually be found on your water utilities website or by calling your utility company. The EPA provides a list of phone numbers for water utility providers on their website. The Safe Drinking Water Act requires public drinking water to comply with certain EPA standards of quality. There is a lot of data here but some of the takeaways would be the levels of calcium, magnesium, potassium, pH and water hardness. Knowing these will help you start to know what you need to filter in order to achieve optimal growth. This water is too high of pH for optimal plant growth with a pH between 7.6 and 8.1 and would need to have pH down added, especially for hydroponic gardens. This water would be considered particularly hard with CaCCO3 being between 264 ppm and 321 ppm for city and ground water respectively. 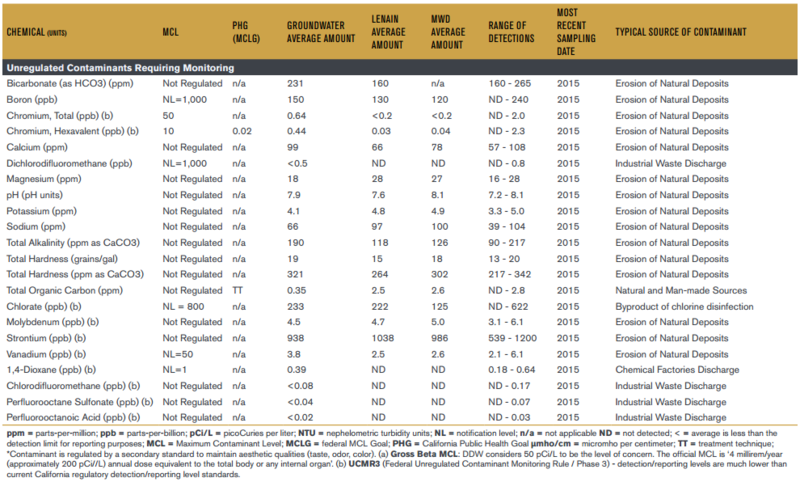 Figure 2 shows water classifications based on mg/L and ppm concentrations. 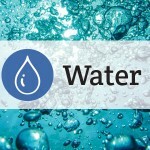 As a contract, freshwater usually ranges from 15 to 375 ppm and seawater is about 6630 ppm. Water quality varies, even within city limits. Getting a quality water meter is a great start to testing your water and knowing what you are dealing with. If you get your water from a well, the only way to know the quality of your water is to have it tested. Well water is not subject to any of the filtration and purity standards that public water is and can vary widely from site to site. Naturally occurring minerals and additives to municipal water sources can have a negative effect plants. The very same water that is safe for human consumption can have adverse affects on plants. Chlorine is the most common issue related to hydroponics. While chlorine is a micro-nutrient required by plants, the quantity needed is very minimal and is almost never is added. City tap water commonly is treated with chlorine to kill bacteria and other microorganisms. Chlorine is often found in levels too high for the plants to tolerate. This toxicity results in diminished growth. Chlorine also quickly kills off beneficial bacteria and fungi living in the root ecosystem. Chelates help keep micro-nutrients suspended in solution. Hydroponic solutions have added chelates to keep the chemicals from bonding in forms the plant cannot use. Since chlorine is a micro-nutrient, when it comes in contact with chelates it becomes even more available to a plant. Similar to chlorine, chloramines are chemical compounds often used as sanitizers in municipal water supplies. Both chlorine and chloramine can be harmful to plants, so we need to remove them. This is especially important in a hydroponic system, where there is no buffer to protect the root zone. Most water contains salts which can burn your plants or interfere with nutrients. Generally, water in the 200-300 ppm (parts-per-million) range is OK for plants. The salts found in tap water are typically calcium and magnesium which plants use, however these molecules are too large to be utilized by the plants. Filtering water to remove harmful chemicals and minerals is a good idea for both hydroponic and soil growing. A basic sediment and dechlorinator filter is likely all you need for watering plants grown in a soil or soilless media. However, hydroponic growers will benefit from a more powerful reverse osmosis filter. Reverse Osmosis (RO) filters are the only way to reduce salt content. RO filters may appear an expensive luxury, but they quickly pay for themselves by improved nutrient availability. RO is purified using osmotic pressure and allows the water to be filtered of nearly all contaminants. A visual guide on how water gets filtered through an RO filter. Due to the high costs of other methods like distillation and electro-dialysis, reverse osmosis is the most common type of filtration. With lower energy costs and relatively simple installation, such filtration systems are especially well-suited to small operations. Reverse osmosis includes 5 basic stages of filtering, and uses high pressure to force water molecules through an extremely fine membrane. First, a spun sediment filter removes 90% of large particulates. Then, a highly porous carbon block pre-filter removes chemicals like chlorine. One or more osmotic membranes remove dissolved solids and lowers the level of contaminant parts per million (PPM) by 95% or more. Next, a carbon post-filter re-mineralizes the now-acidic water to balance the pH. Finally, water is sometimes treated with UV or other filters to further purify it. These stages work together to ensure water that can provide a healthy, aerobic environment for plants. At the end, purified water enters a storage tank, while contaminants leave as wastewater. Despite the benefits of reverse osmosis, individual growers will face issues like high levels of contaminants, low water pressure, and even the basic problem of a 3:1 ratio of waste to purified water. Adapting existing or incorporating new components can help address just such problems. Water pressure booster pump to improve RO throughput and end tap pressures. Pleated and poly-blown sediment filters remove more and smaller particulates, respectively. Coconut green carbon filters deliver better performance, while catalytic ones clean heavy metals and bacteria. Various specialized membranes help raise or lower flow or rejection rates. Similarly, water restrictors and booster pumps help regulate water pressure. Add-ons like eco-waste reducers can address water waste by raising efficiency. Algae blocks over filters screen out light to minimize algae growth and related inefficiencies. Stainless steel ultraviolet (UV) filters and KDF85 filters eliminate microorganisms. And TDS monitors and de-ionization cartridges monitor and remove nitrates, phosphates, and silicates. RO systems should be sized appropriately. A system designed for home drinking water will not suffice in a high output situation that most hydroponic operations require. Filters range in how much water they deliver. For each gallon of water they deliver, there can be two to three gallons of waste water that need to be disposed of so it’s important to size your filter correctly for what you need. Most filters are rated in gallons per day (GPD) or gallons per hour (GPH) delivery. The temperature of water can have a big impact on how much water an RO system will produce per day. Warmer water tends to filter faster and provide more purified water over colder sources. Servicing needs to be done a regular basis and will depend on the volume of output and the quality of source water. The size and quality of the pre-filters will also affect cleaning and/or replacement intervals. While an RO filter is not necessary to begin your gardening adventure, you should consider it a necessary upgrade as you become a more sophisticated grower.